Last week, I helped out with a baby shower for my friend Kirsta. It was at a restaurant, so there wasn’t a lot of planning and thankgoodness no cleaning up. 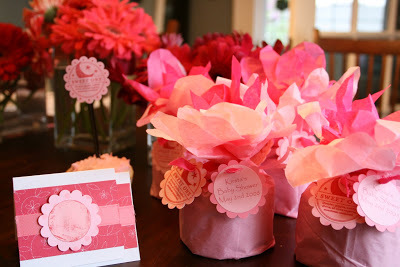 I was in charge of the favors and flowers, but coordinated everything with the other little details. We did different shades of pink. We had cupcake toppers, name place cards and lots of pink balloons. The favors were little tin cans filled with Belgium chocolates. I wrapped them up in tissue paper and tagged with two scalloped punch out cards. 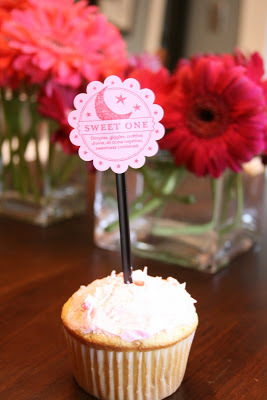 The post Pink Baby Shower appeared first on Darling Darleen | A Lifestyle Design Blog .